President Donald Trump is once again complaining about Amazon in a recent tweet saying “I have stated my concerns with Amazon long before the Election. Unlike others, they pay little or no taxes to state & local governments, use our Postal System as their Delivery Boy (causing tremendous loss to the U.S.), and are putting many thousands of retailers out of business!” View that tweet here. The responses from both USPS and Amazon were not quick which is interesting, especially for the Post office particularly because they are one of the few federal government programs outlined in the corporation yet they receive no tax dollars. USPS relies on the sale of postage, products and services to fund its operations, and has run at a loss for years, but with no surprise as they don’t take any tax dollars, so what do they expect?. Anyway, in its latest fiscal year ended in September, the USPS reported a $2.7 billion net loss, about a hundred million dollars less lost in the previous year. In an interview with Fox News’s “Fox & Friends” Thursday morning (one of the only shows in modern day television that President Trump Praises), deputy press secretary Raj Shah said the White House did not have specific policy proposals to lay out that would correspond with the position they rolled out Thursday morning by the president, but said Trump wants “tax parity” between online retailers and brick-and-mortar stores. Amazon has paid state sales taxes since last April, but Shah said the online retail giant still has an advantage because there is no internet sales tax, something even state and local officials here in Illinois, are opposed to. Memo with Shah’s statement here. Why does Trump care so much? 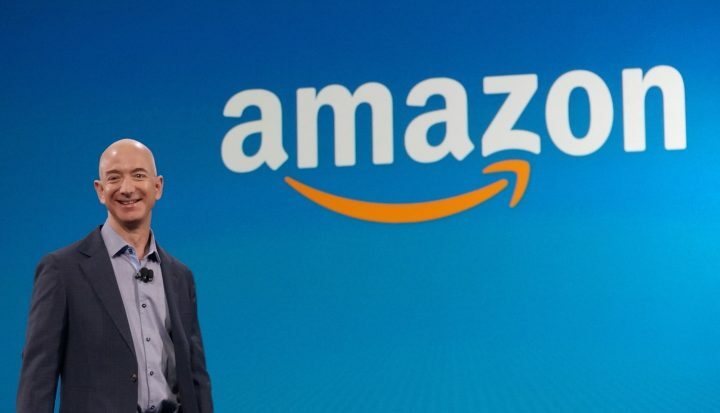 Trump is likely tapping into concerns among the public and other retailers that Amazon and other tech companies got too big, too fast and have gained too much power Amazon has aggressively grown in e-commerce, alone but in addition they, somewhat recently bought Whole Foods. Meanwhile, competitors like Toys R Us and others recently closed mostly due to increasing “e-commerce” sales. And, back to the power statement, Amazon takes up 43.5 percent of US e-commerce sales, according to eMarketer with eBay following them . That’s well ahead of the competition, but not even a majority.